We are in an era where almost everyone is addicted to their mobile phones. We use our phones at work, at home, during commute, during mealtimes, just before bed, the moment we wake up and even when we are taking a dump in the bathroom. We have this constant need to check on the lives of our friends and update them about ours. If you have been in a situation where you were denied access to eating your own food just because someone else wants to take a picture of your dish, you are not alone (our Singapore food blog is just as guilty). The addiction is real and for most of us, unless someone points it out to ask verbally, we often don’t even know that we are. It has almost became habitual to routinely check our phone every now and then. Even at places where we aren’t supposed to, such as onboard the plane when we sometimes can’t help but check through our phones till the very last minute when the stewardess demands us to switch off our phones. It is then and only then do we unwillingly turn it to off or at least switch it to airplane mode. Some people however, just can’t seem to do so as we have personally seen people using their phones etc during take off/landing. Some flight attendants/airlines take a pretty relax approach to this and some let it slide. This however, is not the case for China. Between 5th Jan to 6th Feb 17 alone, Chinese authorities have stopped and detained 3 passengers for allegedly using their phones during flight. Of those detained, one was a female passenger who was traveling from Harbin to Beijing and had refuse to turn off her phone. She insisted on making a call as the flight was taking off and was later jailed for 5 days as a result. The second passenger was detained for 3 days for simply using her phone during her flight from Nanchang to Beijing. These punishments are especially shocking considering how the theory of mobile interference isn’t even exactly verified. Most people believe that mobile transmission would affect the plane’s sensitive equipment onboard and/or cause signal interference between the pilot and communication tower. But this claim does not in fact have any concrete claims to it. Most other airline carriers have over the past few years taken a more relax stand on this and have generally been less stringent to mobile phone usage. Certain carriers even offer mobile services/internet for rent. Not China though. 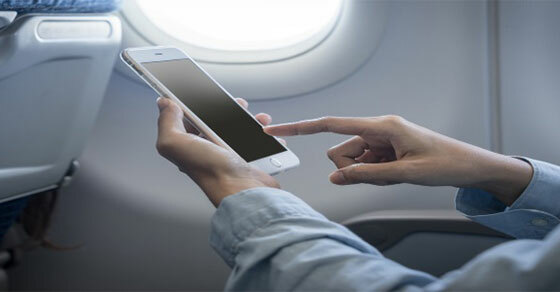 Civil Aviation Administration of China (CAAC) believes that even on airplane mode, phones would still emit potentially harmful signals. If anything, CAAC have stepped up their enforcement in that area over the years. Just last year, CAAC amended their Civil Aviation law which proposes fines of up to 50,000RMB and jail term of no longer than five days for illegal behaviours on board domestic Chinese airline flights. The illegal behaviours listed included the standard no opening of emergency doors, no attacking of flight attendants and other staff members etc, and also calls for a complete ban of mobile phones during flight. What is questionable however, is that in a span of one month, only 3 passengers were apprehended for this offence. It thus raise questions on how often these regulations are enforced. Nonetheless, our Travel blog for one would definitely choose to be safe and avoid using mobile phones onboard Chinese flights in case we find ourselves on the wrong side of the law again (like our Bali Police Scam incident). We are currently unable to confirm how much warning was given to those passengers before they were apprehended. Do hence share this article with your friends and family to warn them before it’s too late. What do you think of China’s Aviation law? Do you think it’s too stringent? Share with us in the comments below! 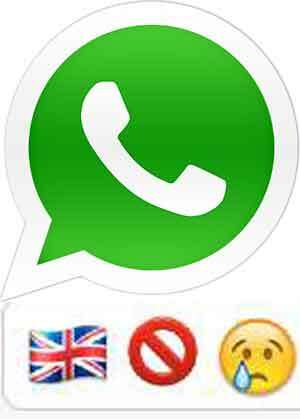 Whatsapp to be banned in UK?